One of the fastest ways to improve your game! Just think how many more games you could win if your shots were more accurate. Use Practice Pro® to reduce the size of your table?s pockets by approximately 30% and sharpen your aiming skills. 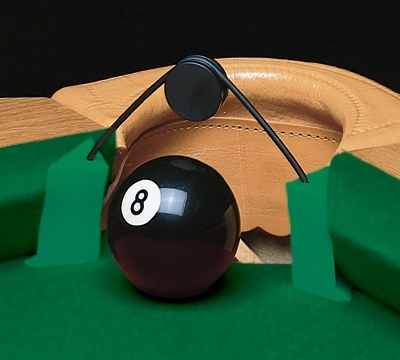 Practice Pro® Pocket Reducers fit all pockets on all tables and take only seconds to set up. Practice with them to increase your concentration skills, build your confidence and make your shots! Set includes six pocket reducers. Made in the USA. When buying in quantity of 36 or more, call 800-627-8888 for additional discounts.